An Instruction manual is still available for the discontinued AquaCalc Pro. If you need a replacement manual, please contact AquaCalc by phone or e-mail to order a printed and bound manual and an angle coefficient protractor (If you don’t know why you need an angle coefficient protractor, you need a manual). 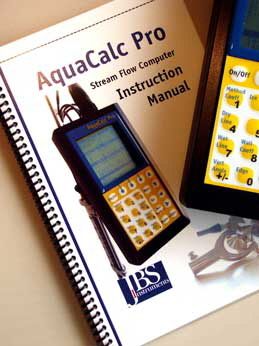 This manual is available to order for all owners of the AquaCalc Pro. Just contact us by calling at (916) 372-0534, or using the contact information provided below. Or download PDF electronic copy of the manual here. There is an electronic version of the AquaCalc Pro manual available online.